Two protected wildlife sanctuaries in Cambodia’s Kratie, Battambang and Banteay Meanchey provinces have been dissolved under a Royal decree after they were virtually stripped of their forest cover by poachers for timber and land, according to Phnom Penh Post Online on Monday. The Royal decree, dated February 22, was posted on the Environment Ministry’s official Facebook page on Thursday. It announces the dissolution of Snuol wildlife sanctuary in Kratie and Roneam Daun Sam wildlife sanctuary in Battambang and Banteay Meanchey provinces. Established in 1993, the Snoul sanctuary covers 75,000 hectares while the Roneam Daun Sam, established in 2003, covers 39,961 hectares. Chhay Duong Savuth, the environment chief of Kratie province, said the Snuol sanctuary has been completely lost, the forest cleared and land grabbed by the people. However, it was reported that the government has granted thousands of hectares to companies in the form of economic land concessions for rubber plantations inside the sanctuaries and the area has been beset with illegal logging over the years. Duong Savuth admitted that protecting the Snoul sanctuary was difficult due to lack of rangers and people clearing the land defying authorities. Battambang’s environment chief Kott Boran blamed population increase for the loss of Roneam Daun Sam wildlife sanctuary. 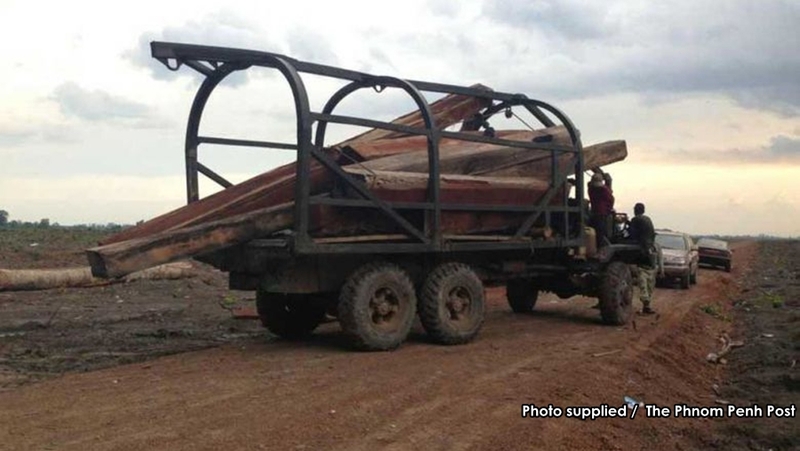 But Seng Sokheng of the Community Peace Building Network put the blame on the government, saying that land inside the sanctuaries was granted to private companies and the forest was also cleared for private ownership. “We think the government should replant trees instead of converting these areas for agri business because it will make the public hopeless,” he said.